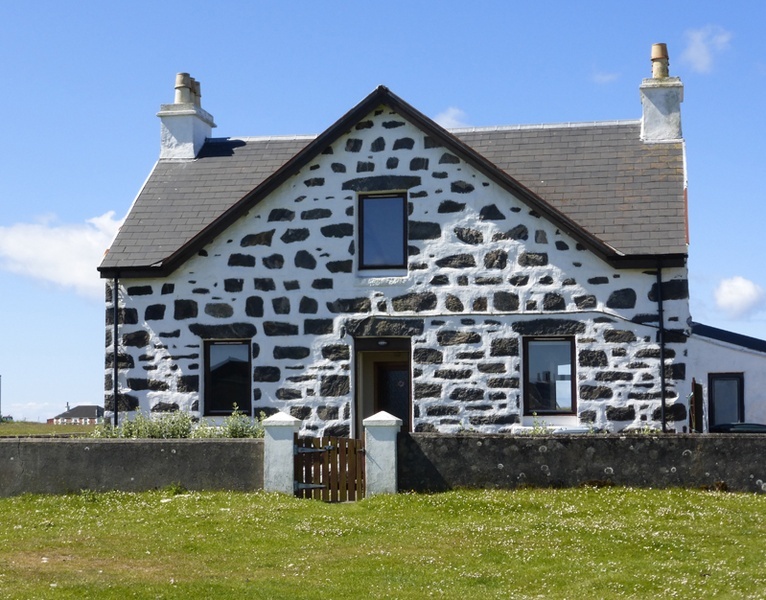 The House is close to some of the many wonderful white sandy beaches and a few minutes walk from the small harbour and Scarinish Hotel. Sitting Room - with leather 3 piece suite, TV with DVD and Freeview, ipod speakers and electric fire. 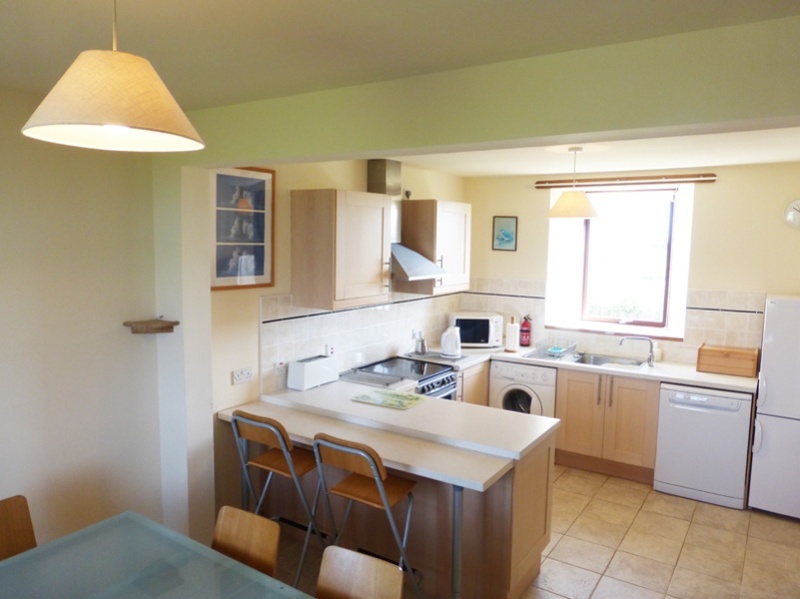 Kitchen - large, modern kitchen with full size separate dining area with table to seat 6 people. The kitchen is well equipped with dishwasher, washing machine, fridge freezer, cooker, microwave and toaster. 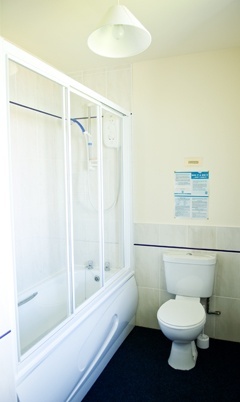 Bathroom - with shower over the bath, fan heater and shaver socket. 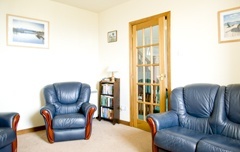 Double Bedroom - with electric heater. Twin Bedroom - with electric heater. 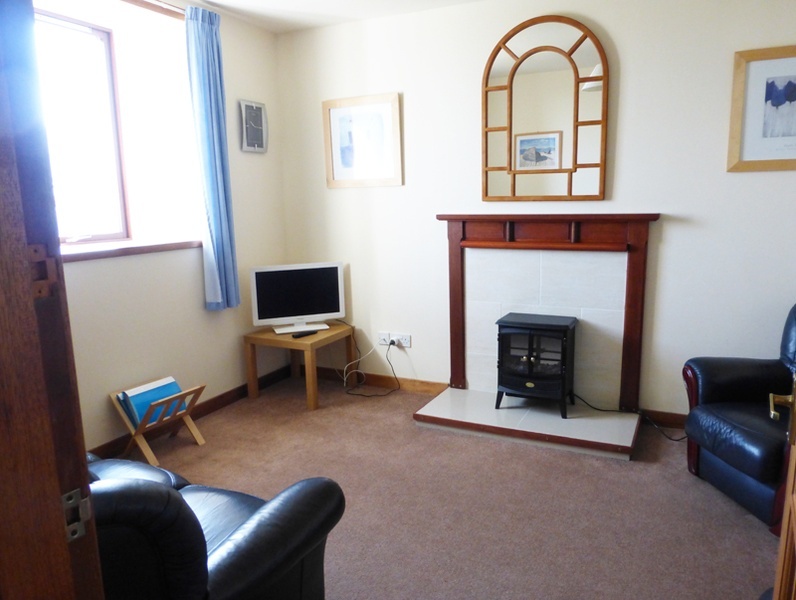 Single Bedroom - with electric heater. Linen is not provided. 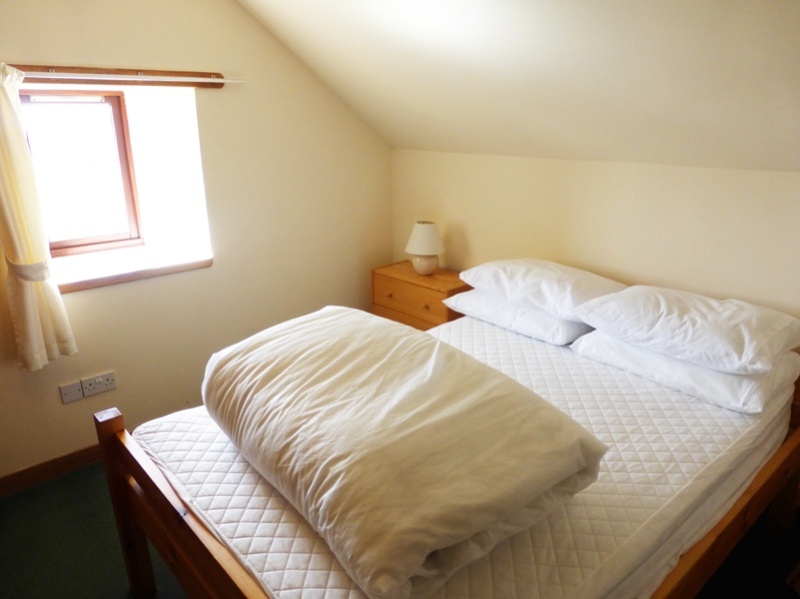 You will require to bring sheets, duvet covers, pillowcases, towels and dish towels. Wifi internet access. There are electric heaters throughout the house. Off season rates for couples please enquire. 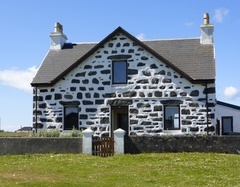 Within easy walking distance An Iodhlann which is a local museum, Scarinish Hotel, Royal Bank of Scotland, Post Office and very well stocked Co-op. When leaving the pier turn right and drive for one mile until you come to a T junction, turn left, drive past the Police Station, up a small hill, our house is situated approximately 100 yards on the right. The access road is just before the cattle grid. The ferry terminal is one mile from the house and the airport 5 miles. The house is surrounded by a walled garden with picnic table and chairs and an outside drying area. No Smoking. Dogs by arrangement. 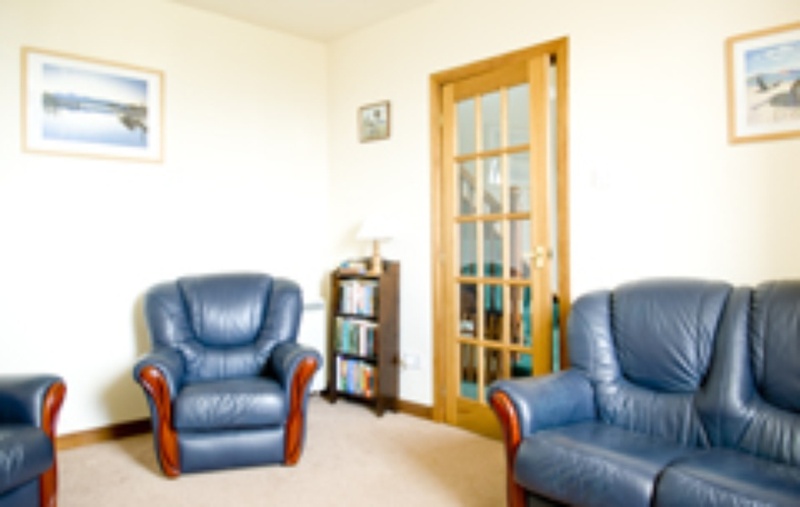 WEEKLY TARIFF IS FLEXIBLE - DEPENDING ON NUMBER OF OCCUPANTS AND DATES. PLEASE CONTACT ME TO DISCUSS OPTIONS.